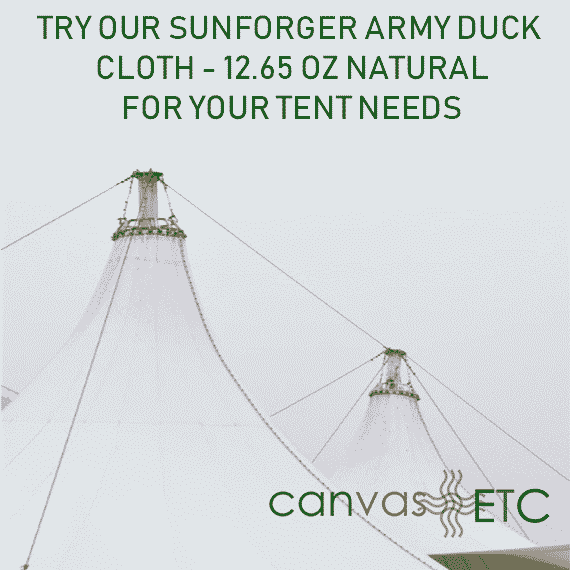 Sunforger Canvas | Army Duck | Tipi & Tent Fabric | Canvas ETC. 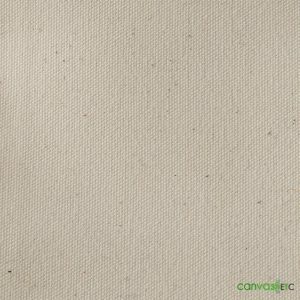 Sunforger canvas is duck cloth dipped in a non-toxic water based chemical bath. 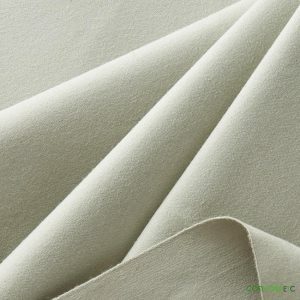 Sunforger™ is a wax based, non-toxic chemical that enhances the properties of cotton canvas. After the army duck canvas goes through the Sunforger™ process, it is pre-shrunk, water repellent, durable, mildew resistant, and in some cases flame retardant. Sunforger canvas is quite often referred to as “shelter duck,” as this is a consistent final use and function of this highly durable material. Sunforger canvas is known for its medium weight and also for its multipurpose functionality, attributable to the very tight, plied yarn weave construction. Please scroll to the bottom of the page to see our Sunforger canvas products. What Is Army Duck Fabric? Army duck is usually a tightly woven cotton fabric made with plied yarns in both warp and fill directions. For more on weaves and yarns, please click here. Plied yarns and high thread count make army ducks naturally water repellent. Most common weights are 10.10 oz and 12.65 oz. 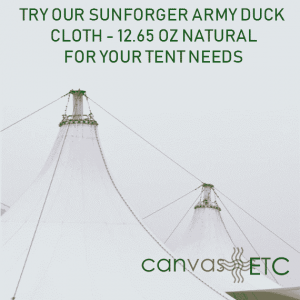 At Canvas Etc., we stock a 8.5 oz shelter tent and 15 oz (3 ply x 3 ply) heavy weight army duck cloth. Army duck cotton fiber is drawn out into longer strands before being twisted into yarns. This makes the fabric very strong while still being supple to work with. Cotton duck is still the number one fabric used for tents because of it’s breath-ability. Imagine sitting in a wall tent in the middle of winter with a friend. The moisture given off by people and the tent stove can cause condensation inside the tent. If there is nowhere for the moisture to go, the air inside the tent would cool quickly. Cotton canvas allows this excess moisture to escape keeping the interior of the tent warm and dry. Vinyl and Urethane coated fabric tents cannot do this. The most popular product for canvas tents is the 10.10 oz army (roughly 80% of Sunforger tent canvas is made from 10.10 fabric). 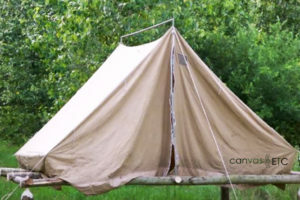 We stock the largest variety and qualities of tent canvas on the internet. All our fabrics can be finished with Sunforger treatment. For special colors and runs, please call 404.514.7166. Sunforger Canvas – Canada: We are more than happy to ship Sunforger products to Canada and anywhere else in the world. If you are one of our many international customers, please contact us to discuss any unique and country specific shipping requirements/ needs. Contact us here. What is Sunforger™ Canvas Used For? Sunforger canvas is used for a variety of items including: car covers, campers, tents, tipis, shelters, ground cover, hats, clothes, bed rolls, sami tents, lavvu’s, yurts, bags, tarps, boat covers, and much more. Due to its durability, Sunforger canvas can also be used for various nautical supplies. Its water repellent properties are especially notable. That makes this canvas great for boat covers, boat awnings, or even seat covers for your watercraft. 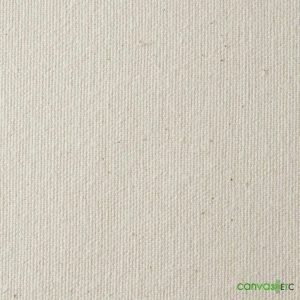 Since the canvas goes through a non-toxic treatment that leaves a waxy coating on the canvas itself, it can repel water and hold itself against harsher sea faring conditions. Sunforger canvas has been utilized in the manufacturing community for quite some time. It is a go-to fabric for all things that require the durability and flexibility to stand against the elements and time. In addition, it is water repellent and can come in flame retardant varieties. Whether it’s needed for a nautical cover for your vessel or a fabric for your tent, Sunforger canvas is your choice for the occasion. At Canvas Etc., we proudly carry Sunforger canvas for our commercial and crafting customers. 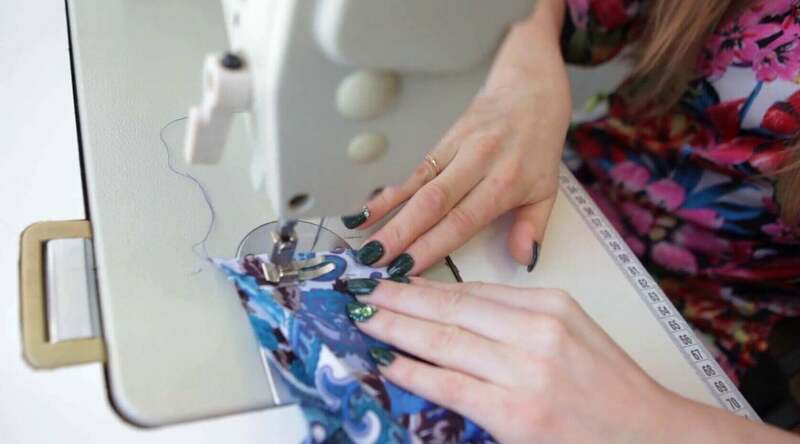 Whatever the necessity for your current or future projects, we can help you find the right fabric. 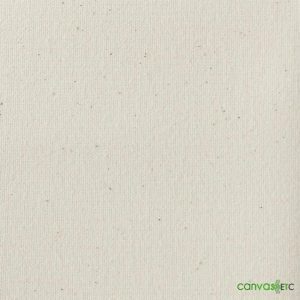 As a wholesaler of canvas supplies, Canvas Etc. 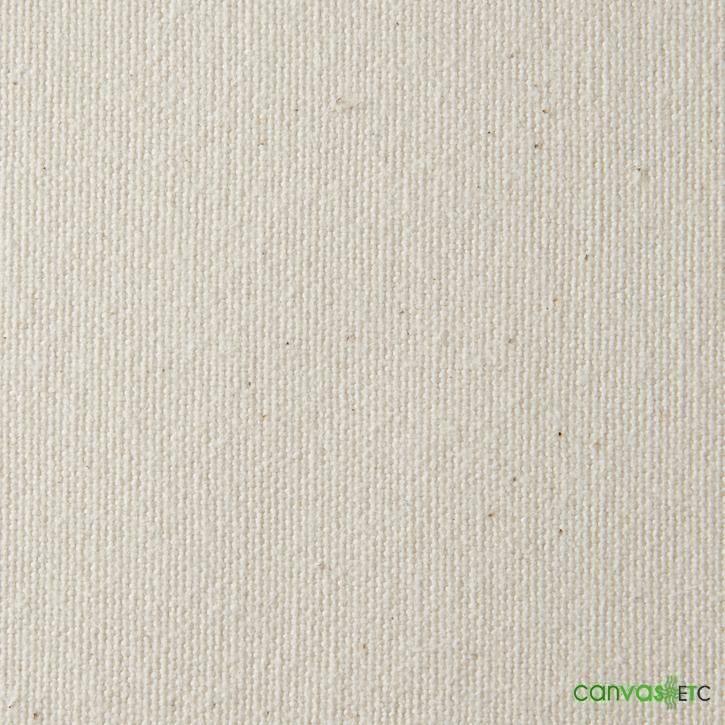 can offer you affordable prices, as we carry the largest inventory of Sunforger canvas, and offer it to our thousands of customers at factory direct bulk pricing! Finally, you can learn more about Sunforger tent canvas here. Watch the video below to learn how to setup a Sunforger canvas tipi.